The UK has been experiencing a revolution in the in the civil engineering sector in the past few years. Some fascinating infrastructure projects are ongoing throughout the country while some are still in the planning stage. Companies like the Lagan Construction Group continue to play an important role in aiding the successful completion of these projects and helping to shape the UK civil engineering industry as a result. 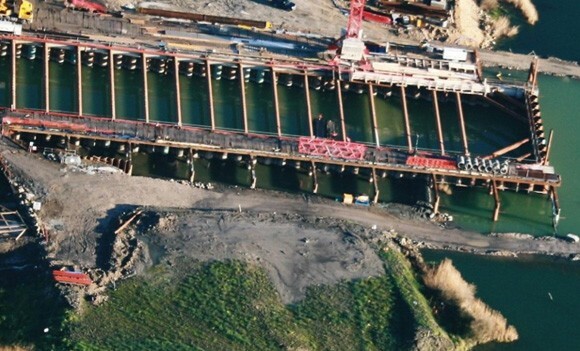 Below we take a look at 10 civil engineering projects that the UK can be proud of. The HS2 (High Speed 2) is a highway speed railway line that will link London to Birmingham. It is expected that the railway line will be extended to pass through the city of Manchester, Leeds and into other cities and towns. It is estimated that the entire project will cost about forty-three billion pounds. The construction will offset in 2017, and it is going to take sixteen years for it to be completed. This is one of the biggest river flood defence projects ever undertaken by any country. It is estimated that this project will cost the UK about forty-five million pounds. Some major construction work will be carried out along a part of river Aire, which is in the city centre and will cover a 4.3km stretch. To be able to reduce the water levels in the river during flooding, the engineers have designed UK’s first movable water weirs to be used to lower the water levels. This is going to be a six-lane toll bridge that will be built over Mersey connecting Runcorn and Widnes. After its completion, the bridge will help reduce congestion on the very old Silver Jubilee Bridge. This bridge will be 2,130 meters long and will have a river span of 1km. With an estimated number of over 10,000 people working on this engineering project and with over 40 construction sites, this is the largest engineering project in Europe. Since its inception in 2009, over 70 million working hours have gone into this project that will see London’s transport capacity increase by ten percent. The completion of this project will ensure that journey times across the city are greatly reduced. This is a bridge that is being built across the Forth in Scotland and will be the longest three tower cable-stayed bridge across the globe. The bridge will be 1.7 miles long and will cost about 1.4 billion pounds. This station has been in existence since its construction in the early 1800’s. The UK is, however, updating it to a modern station at a cost of forty-four million pounds. The most important feature in this project is the sixteen million pounds new roof that will brighten the building and bring some modern space illusion. This facility will be established on a hundred-acre piece of land and will deliver a wide range of medical services as well as social care services. This building will be constructed at a whopping cost of one hundred and five million pounds. This is the longest new domestic railway line to be constructed in over a hundred years in the UK. The railway will join the town of Edinburgh with the Scottish town of Tweedbank. The project is expected to cost about two hundred and ninety-four million pounds. The construction of this road that links Heysham to the M6 begun in 2014 and is set to be officially opened to the public in 2016. This 4.8km dual carriage road will also contain a footpath and a cycling path along the entire road. This real estate development project along Brighton’s coastline will be worth two hundred and fifty million pounds. Brunswick Developments was recently given the go-ahead to build eight hundred and fifty-three flats and two thousand square meters of shops and leisure space.